A summary of the signs used to direct drivers to the Motor Parkway. Motor Parkway Western Terminus on Nassau Boulevard, Queens. 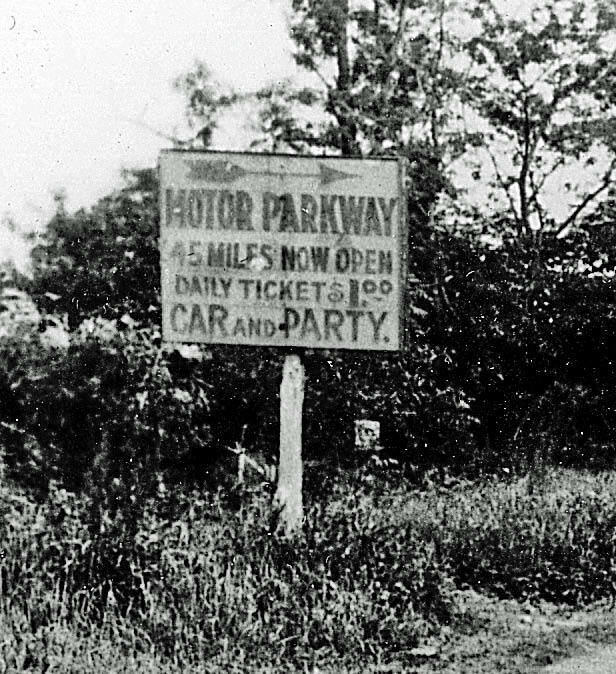 This sign was placed at pot-holed filled Rocky Hill Road (Springfield Boulevard) from 1912 to 1926 when it was the Western Terminus of the Long Island Motor Parkway. 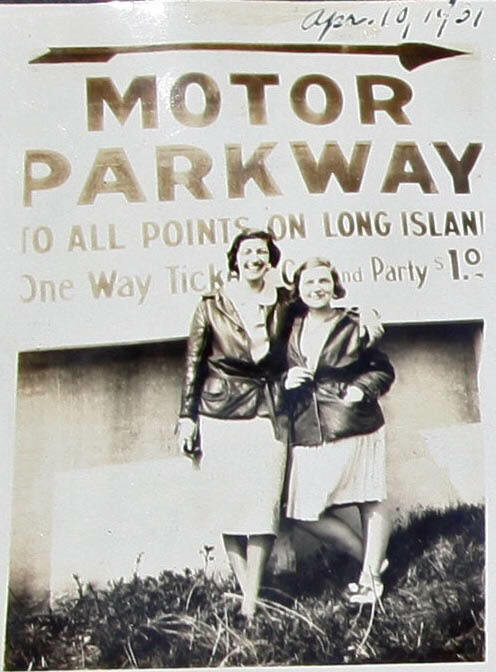 The sign at Springfield Boulevard in Queens read:"MOTOR PARKWAY To all points on Long Island. One Way Ticket Car and Party $1.00". Courtesy of Bill Schwartzberg. Corner of Nassau Boulevard and Rodman Street (later renamed College Point Boulevard), Queens. 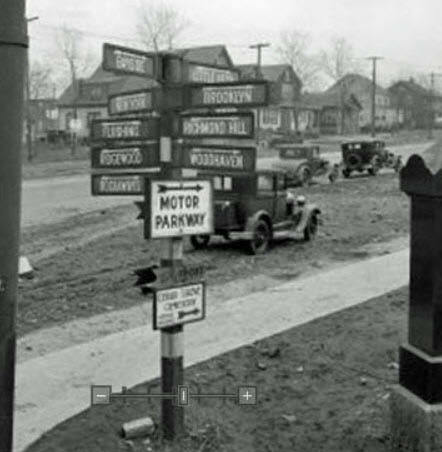 Location of the sign in relation to the terminus of the Long Island Motor Parkway in Fresh Meadows. South side of the Long Island Motor Parkway and west of Merrick Avenue in Westbury/East Meadow. 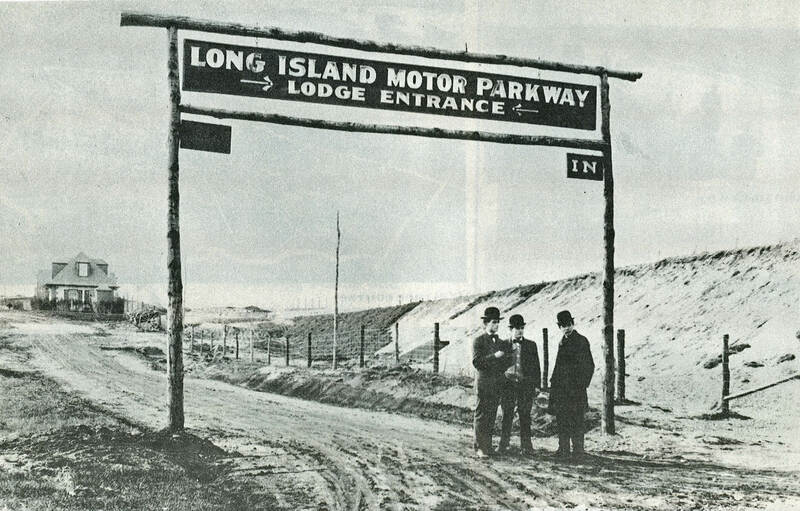 Long Island Motor Parkway Lodge Entrance at Round Swamp Road in Bethpage, Nassau County. Intersection of the Motor Parkway and Wheeler's Road near Central Islip, Suffolk County. Rocky Road / Springfield Blvd entrance sign? Bruce, I think that is an excellent guess. 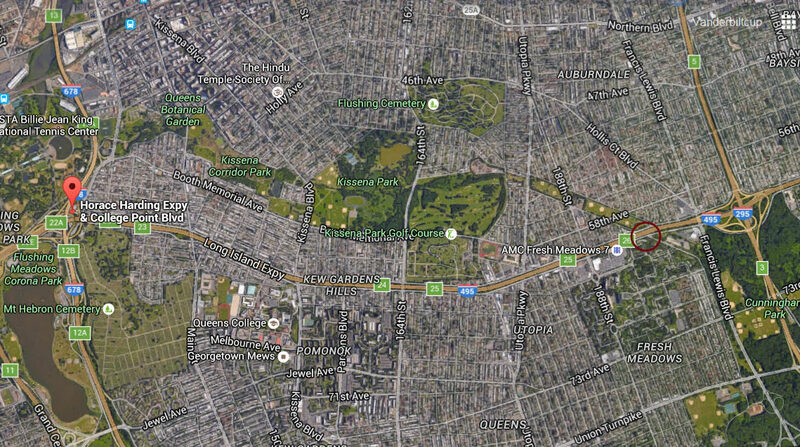 Clearly, it was near a Motor Parkway entrance like Springfield Boulevard. 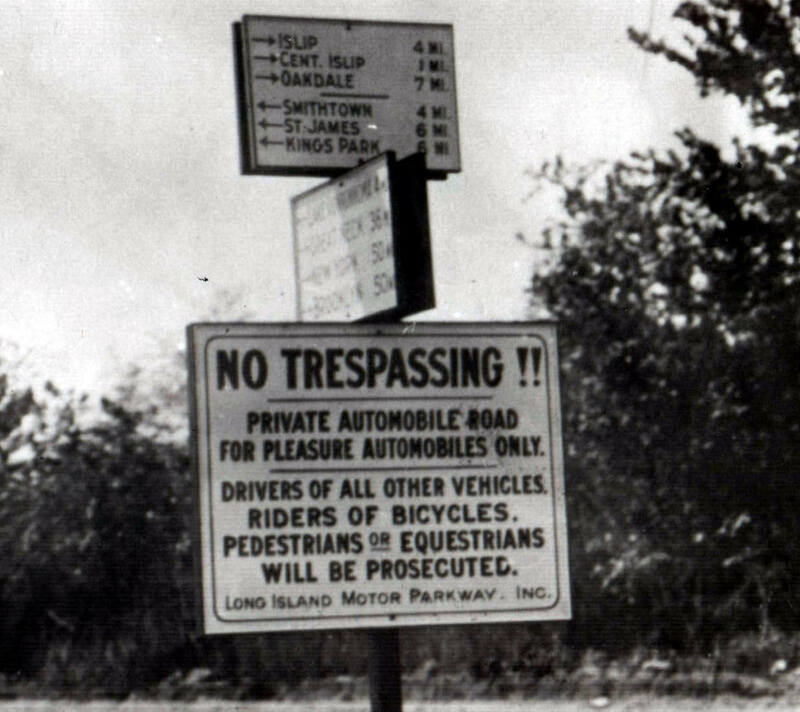 The copy “to all points on Long Island” also implies the sign was in Queens. 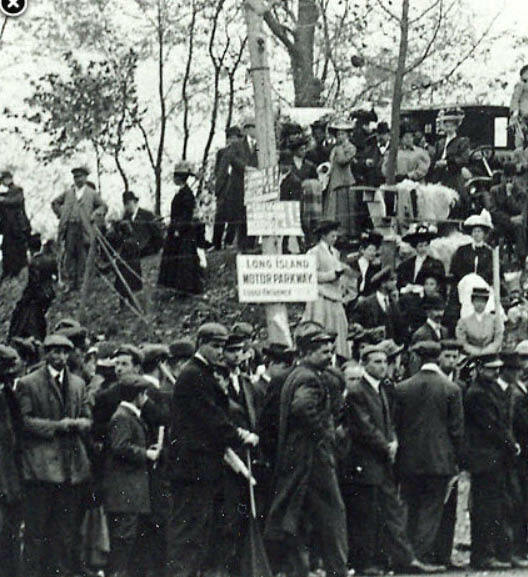 There were only three entrances to the Motor Parkway in Queens; Nassau Boulevard, 73rd Avenue and Springfield Boulevard. Howard, The missing words on the sign probably are “Car and”. Howard, I could not locate either a Harriet Teitsen nor Seitsen, however there was a Harriet Feitsen. The 1925 NYS Census lists her as living on Jasmine St., Flushing, and the 1930 U.S. Census lists Harriet R. Feitsen as living on Hyacinth St, Flushing with her Dad, Mom, and sister - she was 14 years old at the time. Maybe she is in one of the photos. Howard, isn’t it true that the 73rd Avenue entrance was not really an official entrance? Although we know what the Nassau Boulevard sign looked like, there could have been more than one sign. But in the photo, it appears that there is a high concrete wall behind the sign, and this would not have been the case at Nassau Blvd. This would indicate that it is more likely Springfield Boulevard. Having said all that, Sam Berliner used to say that he thought there might have been an entrance near the North Hempstead Turnpike bridge—can you debunk that theory? 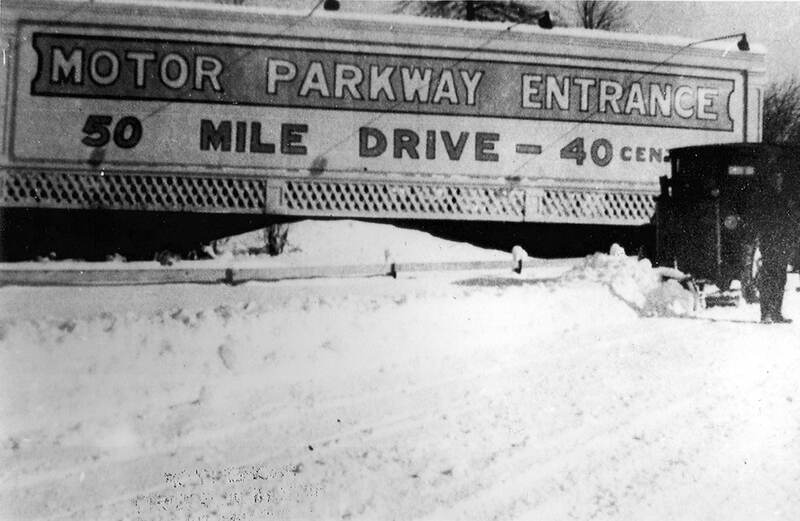 If there was an entrance there, the sign could be near that bridge, which did have a high concrete wall. And it’s very possible the sign was double sided for viewing from both directions with the low wall.